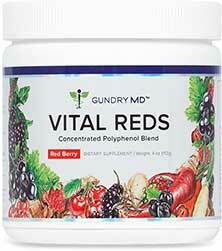 Vital Reds is berry-flavored drink mix designed to support good health. It’s marketed under the Gundry MD brand name, which is owned by Dr Stephen Gundry MD. A respected heart surgeon, Gundry now appears to be primarily concerned with developing his range of health products. However, although Gundry claims Vital Reds can help people to lose weight, this is not the product’s primary aim. He has a lot of faith in the health-enhancing abilities of polyphenols and claims people are not consuming enough. So rather than advising people to eat more fruit and vegetables, like most doctors do, he developed Vital Reds and, at the time of this review, was selling the product at a cost of nearly $70 per pot. That’s a lot of money and the idea is that customers take one dose a day, for the rest of their life. Which diet products are most popular in 2019? Getting a few extra vitamins and minerals per day is never a bad thing and Vitamins B6 and B12 are particularly apt inclusions because they help the body to extract energy from food. Niacin is good for improving the circulation. It lowers cholesterol too. 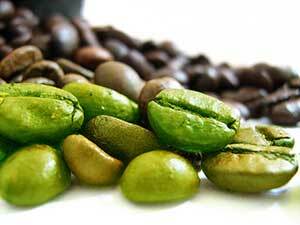 Biotin is necessary for healthy-looking hair, nails and skin. Polyphenol Blend (1760mg): Provides 34 fruit/vegetable extracts that contain polyphenols. The extracts chosen for this purpose include orange, grape, apple organic carrot, mulberry, cranberry, beetroot, European black current, mango, papaya, acai, strawberry, blueberry, pomegranate, blackberry, pineapple and raspberry. Studies show polyphenols promote good health, but drinking some fruit juice would be a cheaper way to get them into your body. Metabolic Boosting Blend (365mg): Provides undisclosed amounts of green tea, white tea, cinnamon, ginger root, bitter melon, turmeric, and black pepper. All seven ingredients have metabolism boosting capabilities but, presuming a sufficient inclusion rate, green tea is probably the one that offers the most power. Digestive Support Blend: Provides around three billion probiotic bacteria (Lactobacillus + Bacillus coagulans + Bifidobacterium lactis + L. reuteri) that are already present in the body and are also provided by food. Consuming extra probiotics is generally seen as a good idea because they are necessary for a healthy digestive system and provide a number of other desirable health benefits. FOS (250mg): FOS (Fructooligosaccharides) is a type of carbohydrate provided by leeks, onions, garlic, and a number of other plants. Due to it’s sweet-tasting nature, FOS is often used in low-calorie sweeteners. It’s also paired with probiotics because it feeds them and helps them to multiply. Usage Instructions – The powder has to be mixed with 8oz of water, or a beverage of choice, and needs to be consumed once per day. Via a warning on the back of the bottle, Gundry MD points out the importance of seeking medical advice prior to using new dietary supplements for the first time. This is always a wise precaution and it’s especially important in the case of pregnant or nursing mothers, people with existing health problems, and individuals who are using medication. The company website is the only official source of distribution and customers are offered modest discounts to encourage them to buy via auto-ship. Even when the discounts are applied, the cost of this supplement remains ridiculously high. A 90-day money back guarantee is offered. Although there is something to be said for getting extra vitamins, minerals, and polyphenols; there are cheaper ways to do it. The best way is to start making healthier food choices, and anyone who is keen on boosting their levels of healthy gut bacteria can easily do so by eating probiotic yoghurts. Customer reviews suggest Vital Reds may be capable of providing some users with increased vitality. They also suggest other benefits may be possible, but they fail to suggest it has much potency as a weight loss aid. So our advice is this: If you want to improve your health, start eating healthier food. 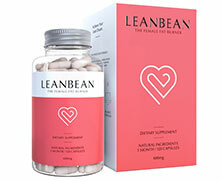 If you want to lose weight do that too, and support your efforts by using a respected diet pill that will help control your hunger, speed up your fat burning, and provide you with the kind of across-the-board support needed to maximize your results without having to endure unpleasant hunger pangs. 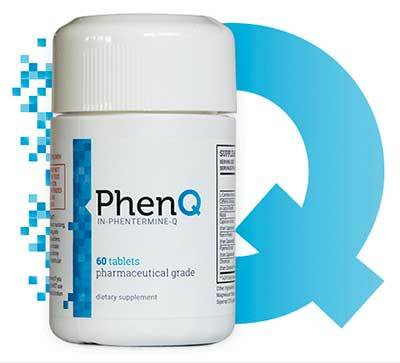 PhenQ is a highly effective and efficient diet pill that can help it’s users to lose weight quickly by..
PhenQ is available to buy direct – it has a 60 day money back guarantee and is shipped for FREE anywhere in the world. Hunger Buddy is a diet pill that comes with a cute, little smiley face on the bottle and the promise it will help fight food cravings and cut portion sizes. If it can deliver on this promise it may give many dieters a reason to smile as well because fighting hunger urges is a very hard thing to do. 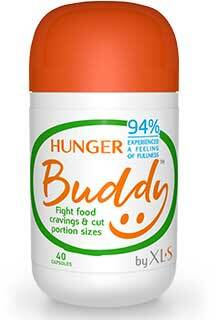 Hunger Buddy has a certain amount of initial credibility because it bears the XLS-Medical brand name. However, although XLS-Medical is considered a main player when it comes to fat blockers, customer reviews hint appetite suppression may not a field XLS-Medical is likely to conquer any time soon. The only active ingredient is Redusure. It’s a proprietary blend of konjac root extract. Konjac extract is more commonly referred to as glucomannan and it’s a natural fibre that boasts unusually good powers of absorption. 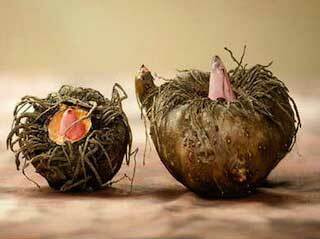 Konjac fibres can soak up many times their weight in water and, as they do, they quickly expand. When the expansion takes place in the human digestive system it creates a feeling of satiety and the desire to eat is reduced or lost. A number of studies support the use of konjac for appetite control, but the konjac in Redusure has been diluted with other ingredients and this may interfere with its potential. Redusure is manufactured by InQPharm and the company sponsored a clinical trial that suggests their proprietary blend may satiate the hunger levels of 94% of users. However, the company’s involvement means the results cannot be seen as being unbiased. Usage Instructions – The normal dose is two capsules and doses should be taken with water half-an-hour before meals. The manufacturer fails to provide concise instructions, but products of this nature are usually taken before the three largest meals of the day (breakfast, lunch, dinner). If required, up to two capsules can be taken between meals, but the maximum dosage is nine capsules per day. The Hunger Buddy formulation does not contain any animal extracts, so it should be suitable for vegetarians, but the product is not intended for pregnant or nursing mothers. People who have existing medical issues, or are using medication, should always check with their GP before using any brand of weight management supplement. Some people report good results. Others state the opposite. Hunger Buddy is an easy product to get hold of. It’s available in many countries online and in-store. Australia customers can try pharmacies as Terry White. 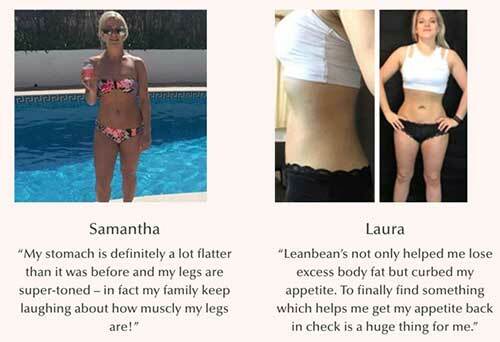 Customers from the UK can try Boots, Superdrug, Holland & Barrett and number of other reputable suppliers. The price varies from one retailer to the next and are supplied in 40-capsule bottle of pills. On the face of it, Hunger Buddy appears to be a cheap diet pill to buy, but anyone taking six capsules per day will struggle to make a bottle last for a week and people using the maximum dose of nine capsules per day are going to have a lot of extra use for their plastic recycling bin. The key to weight loss is creating a situation where the body has less calories than it needs. Sticking to a low-calorie diet is a good way to achieve this, but most diet pills are also capable of speeding up the metabolism and/or causing thermogenic fat burning. A faster metabolism burns through calories more rapidly. Thermogenic fat burners cause the body to burn still further calories and lose them as heat. Diet pills that can suppress the appetite and do these things as well offer a better chance of weight loss success and the top products often provide dieters with help in additional ways as well. Hunger Buddy seems to be capable of helping some users to keep their hunger under control, but there are no guarantees. We’re not saying Hunger Buddy is a bad product, but there are other options that have a lot more to offer.